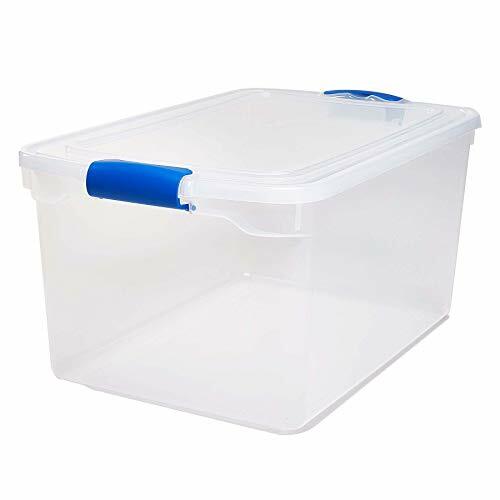 Use this 66-quart storage container from Homz to store clothing, decorations, supplies or other personal items. See-through design keeps contents visible. Lid snaps on securely. 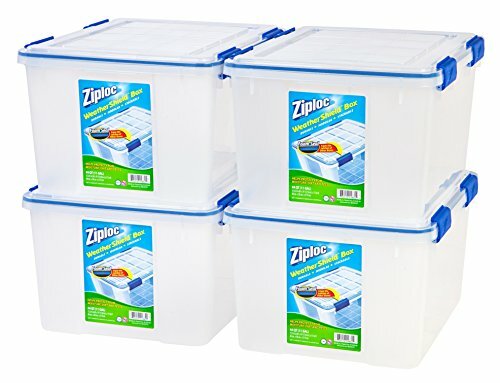 Stack multiple boxes on top of one another and save valuable storage space. Made in the USA. 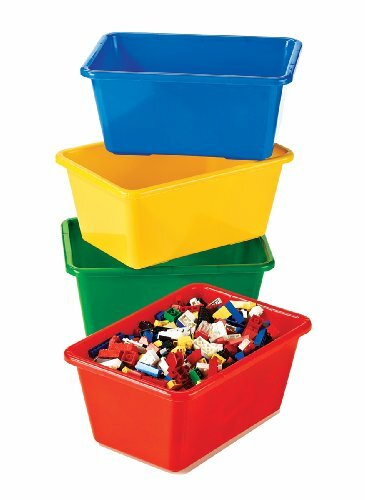 Cluttered closets are a thing of the past thanks to this classic storage box, perfectly sized for shoes, small accessories and more. 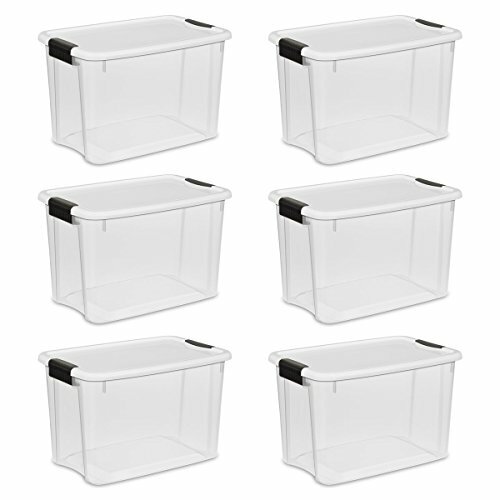 This set of 6 boxes are stackable to help you make the most of your storage space. 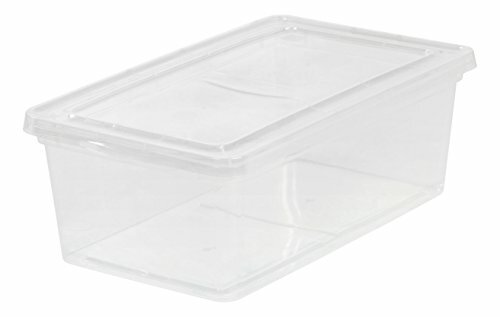 The snap-tight lid adds a dash of color while keeping your items secure, and the ultra-clear body allows you to see contents at a glance. Made in the USA. 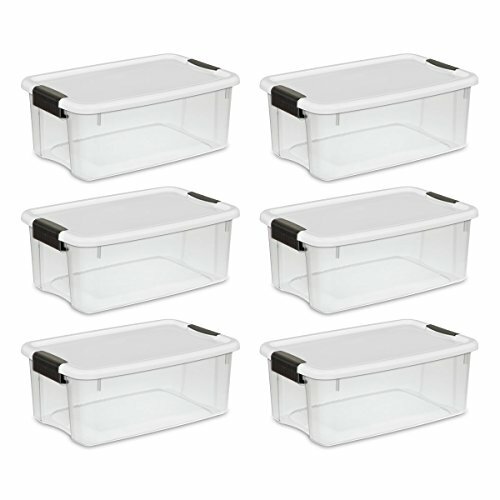 This set of four 44 Quart Ziploc WeatherShield storage boxes make organizing simple and easy. 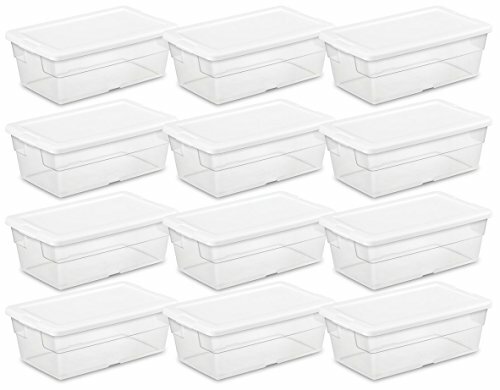 Grooves in the reinforced lids allow you to stack even heavy boxes on top of each other, and two of the 26.5 QT boxes stack perfectly on top of 44 QT box to create a customized storage solution, perfect for any space. The WeatherShield seal helps protect contents from moisture, dust, and pests. Heavy-duty latches keep the lids secure. 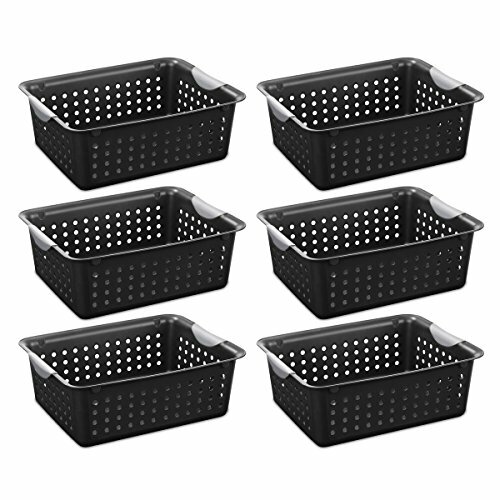 These multi-purpose boxes are great for use in your basement, garage, boat, camper, and more.